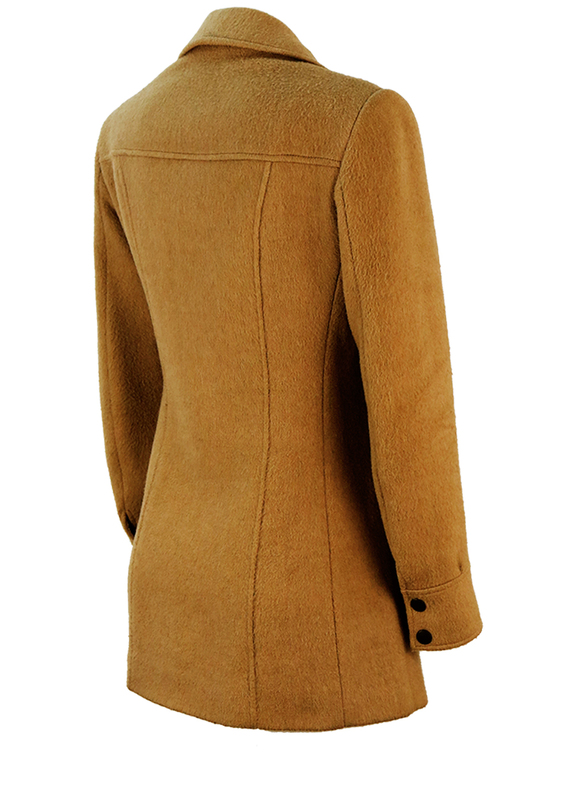 Vintage 1970’s camel coloured coat with striking feature suede pockets at the front in a contrasting dark brown. 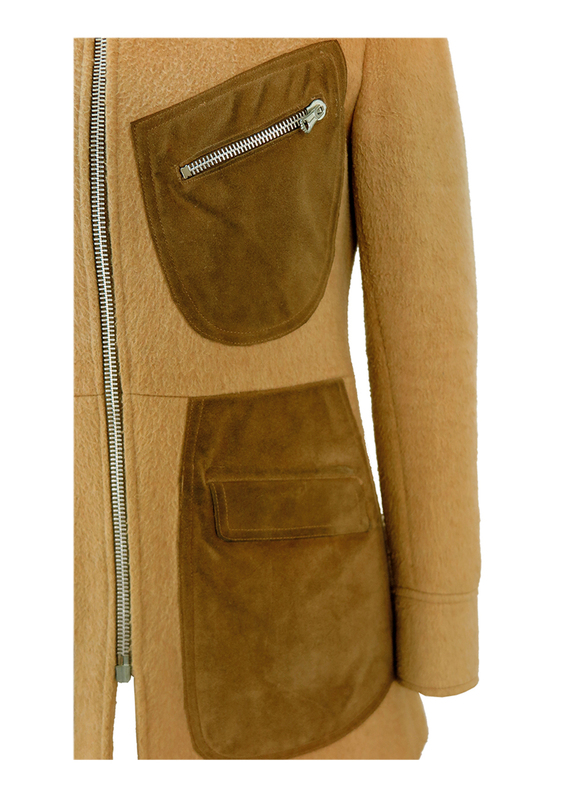 Some of the the pockets have a sneaky secondary pocket within which is accessed by the silver zips! 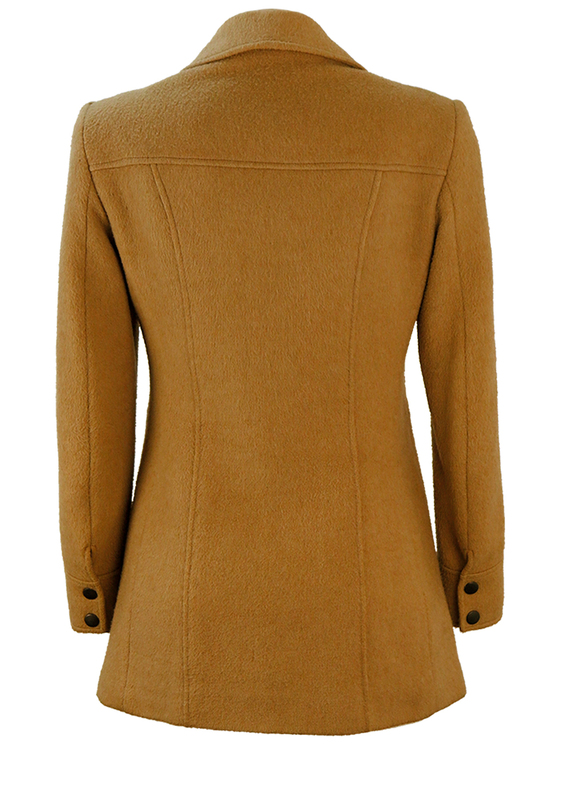 The coat sits approximately at thigh level and is fully lined in a tan colourway. 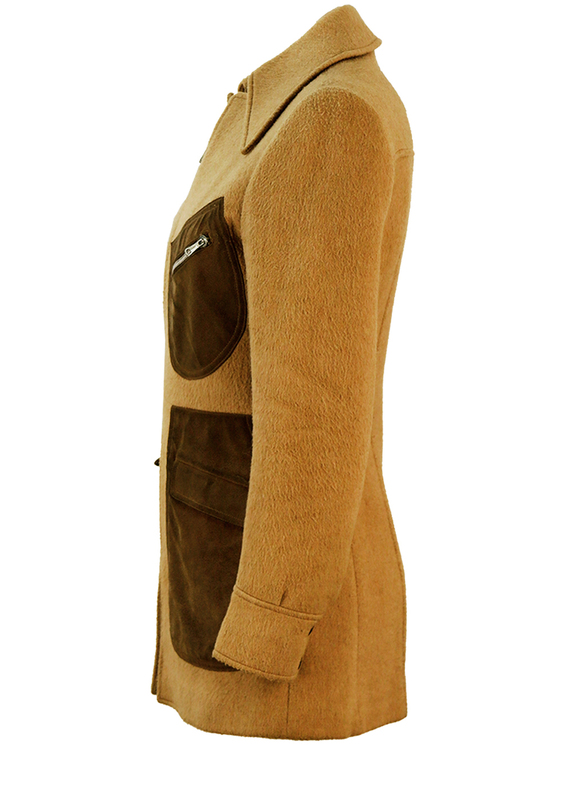 There is some very minor wear to the suede as expected for it’s age – but the coat overall is in fantastic condition and a wonderful example of classic 70’s fashion. In the absence of a sizing label, we have sized the coat as a size S – however please refer to our measurements for further sizing guidance. 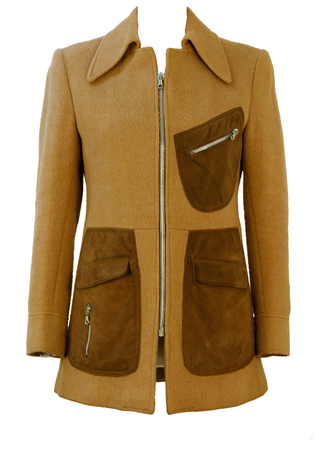 Although there is no fabric label, the coat has a slightly textured wool or part wool feel to it.